The Falling of Love is the story of Grace Hathaway, but her story doesn’t truly begin until she meets Ian Taylor. In the beginning of the book, Ian transfers to her school, a rock star wannabe who has that bad boy look down pat. He instantly catches Grace’s eye, and she catches his. They start dating, and their love grows exponentially. Ian, however, has his sights set on Los Angeles and the life of a rock star. His best friend and former band member, Jaden, lives there with his grandpa, and with a broken home life, Ian can think of no better place to be. The only problem is Grace’s home is in Oregon, and she has a perfect family. Can Ian marry his dream of being a rock star with his love for Grace, or will his dream doom them to failure? 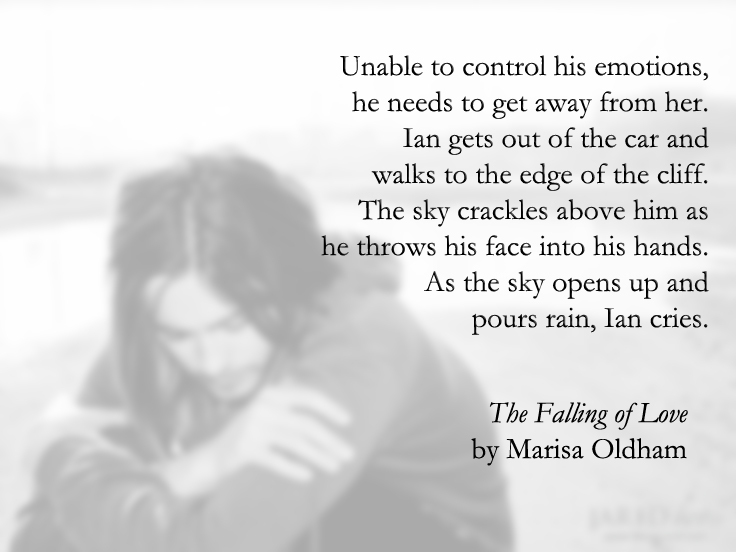 Find out in The Falling of Love.